Feeling adventurous? Want to give back to communities in need? Excited to mentor the next generation of veterinary professionals? Looking for some fun CE? 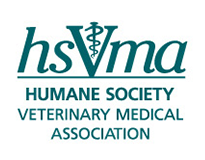 The Rural Area Veterinary Services (RAVS) program provides access to quality veterinary care for dogs and cats with MASH-style mobile field teaching clinics in geographically remote and socio-economically challenged Native Nations communities. As a service-based learning program, RAVS also provides intensive hands-on experience and mentoring for veterinary and veterinary technician students. Professional volunteers are the essential to the RAVS program and there are opportunities for veterinarians, veterinary technicians, assistants and support volunteers of all backgrounds and experience. Applications for the 2019 clinic season are being accepted now at www.ruralareavet.org. Please join RAVS staff members on January 23, 2019 at 5pm PST/8pm EST for an informational session on the RAVS experience and learn more about volunteer opportunities. This online session is open to all members and non-members!